I’ve been sick and I slept in today. When I woke up, I found we have entered a new era. I was a bit young to remember all the original Saturn V launches. Apollo 4 launched 6 months after I was born. I was 2 years old when Apollo 11 landed on the moon and Neil Armstrong took humans first steps on the slippery moon dust. I do remember Apollo 17 and SkyLab. I have a special place in my heart for SkyLab as this was my first solid memories of humans in space. The films of astronauts twirling inside SkyLab captured my imagination. I watched all the stages of the Shuttle missions, from the Enterprise test flights, Columbia’s first take off and landing, the two Shuttle disasters of Challenger and Columbia, and the final flight of Atlantis. 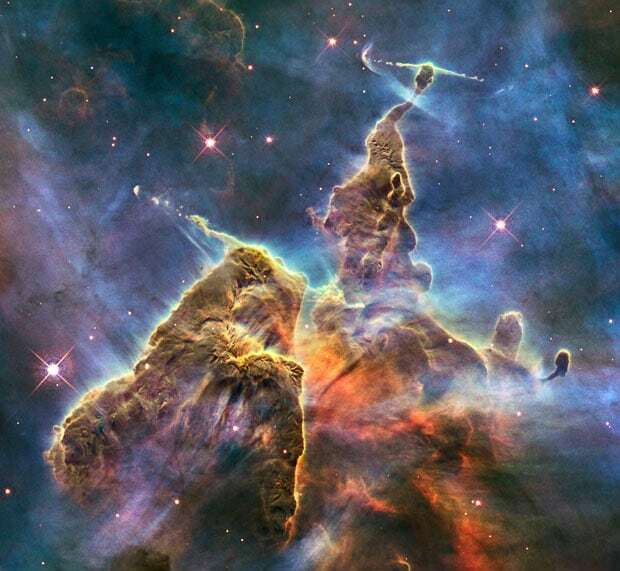 I watched Hubble being deployed, and I deflated as the images were more or less useless. The missions to repair Hubble were just as exciting for me though. I watched several of these live on NASA’s cable channel – which was a mostly changing shots of shuttle cameras and live radio chatter. NASA TV was as bland and dry as space travel could be made, but I watched anyway. Capturing Hubble with the Canadarm, long extra-vehicular spacewalks, and the pictures released after the repair were spectacular. For 10 years I watched MIR being assembled and in 1998 we started to assemble ISS – which is nothing short of amazing. Since the late 1980’s we’ve had humans living in space. 1997 gave us Pathfinder and his little 25 pound sidekick Sojourner. We are driving little remote control cars on Mars! Then we had the landing of Spirit and Opportunity rovers in 2004 and Curiosity in 2012. Opportunity and Curiosity are still driving around on Mars today well past their expiry date. 2014 brought us Rosetta and little Philae – the space vehicle and little lander designed to arrive, and land, on a comet. The science and engineering behind this floors me. Landing something on the moon or a planet is amazing science, but a tiny little comet? They manage this feat with a few minor issues, but the fact they did it at all is fantastic. Between the days of Sputnik to yesterday we’ve launched some amazing probes from our planet into space. We’ve landed on the moon, Venus, Mars and a comet. Humans have walked on our moon, our probes have flown by all the planets, and Voyager I has left our solar system – With Voyager II not far behind. Today, we have entered a new era. 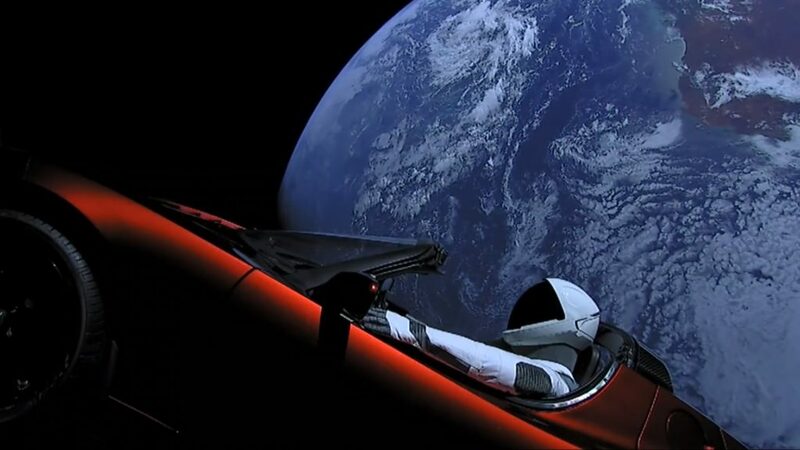 There is now a Tesla Roadster in orbit around our sun. It has the words DON’T PANIC inscribed in large friendly letters on its dashboard. 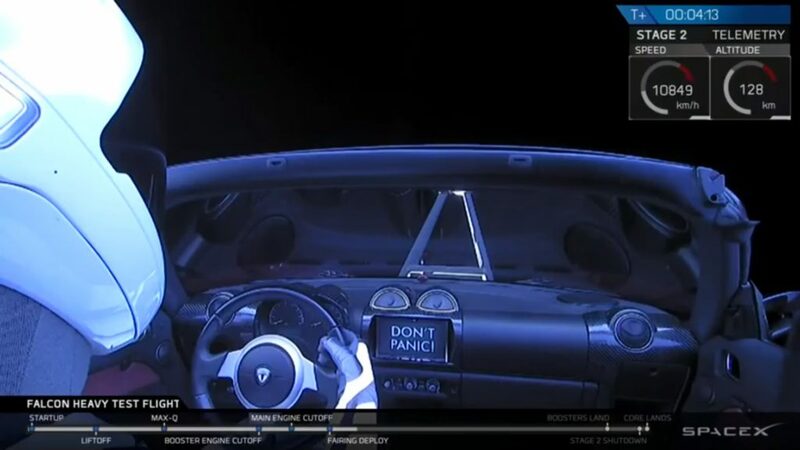 In the glove box is a copy of the Hitchhikers Guide to the Galaxy and a folded towel. 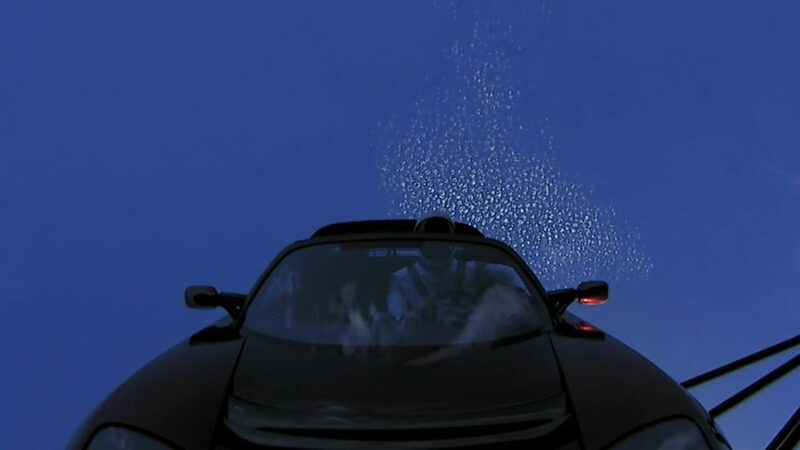 The driver of the Roadster is a dummy in a SpaceX spacesuit which they have named Starman. 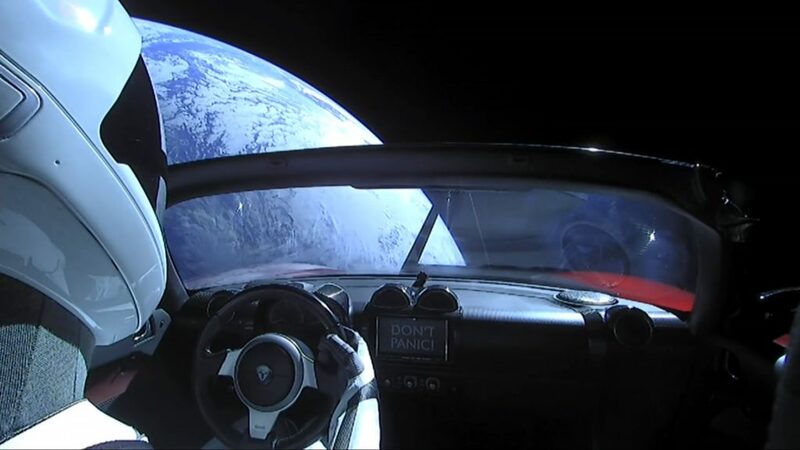 The top of the Roadster is off, windows down. 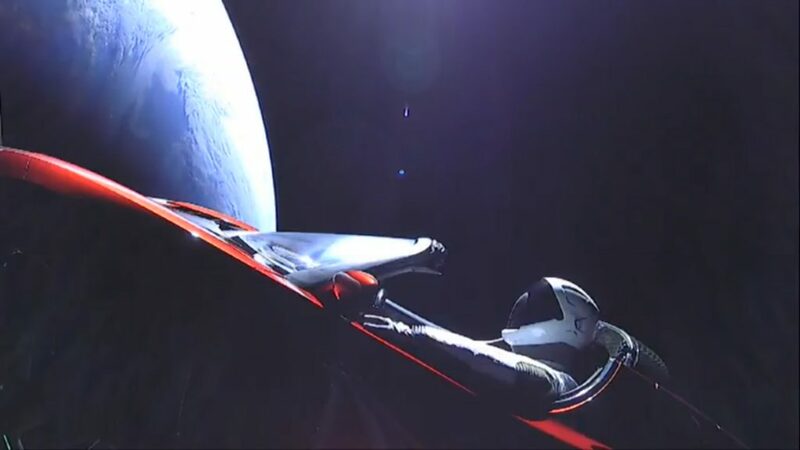 Starman has his right had on the steering wheel while his left elbow casually sits on the door. While that all seems silly, this really is a game changer. 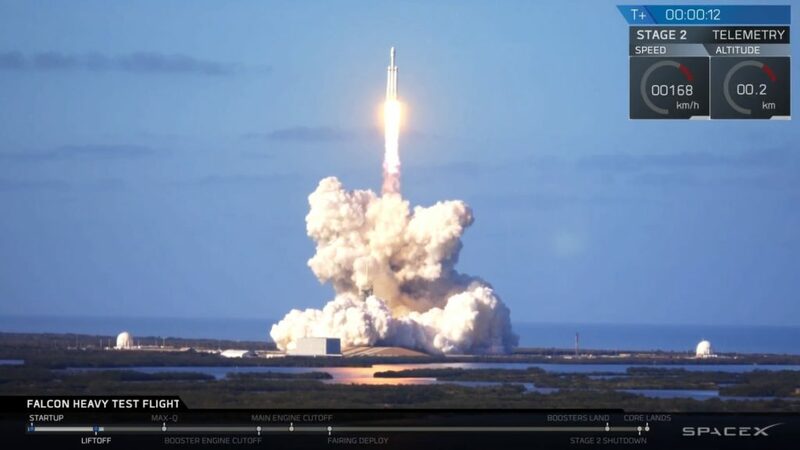 Falcon Heavy, the rocket which got the roadster in orbit, has a payload twice that of any of our current rockets. 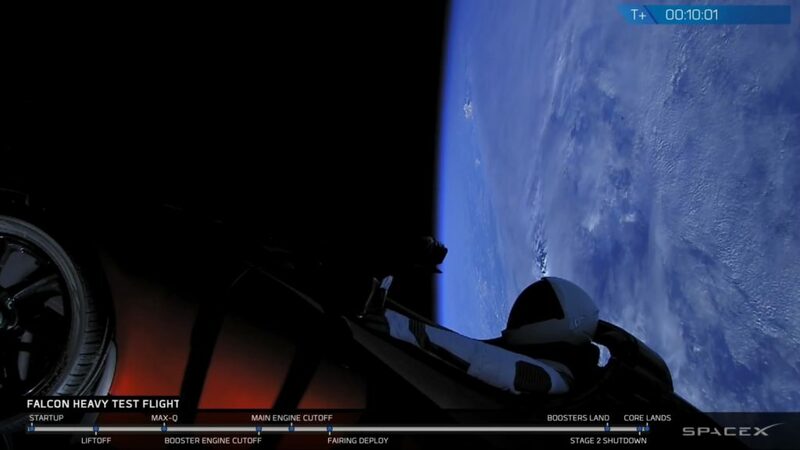 Also, unlike our other current rockets, most parts of Falcon Heavy are reusable. The test flight today was mostly successful. The side boosters detached and returned to their landing pads. Watching these come down and land in unison was amazing. 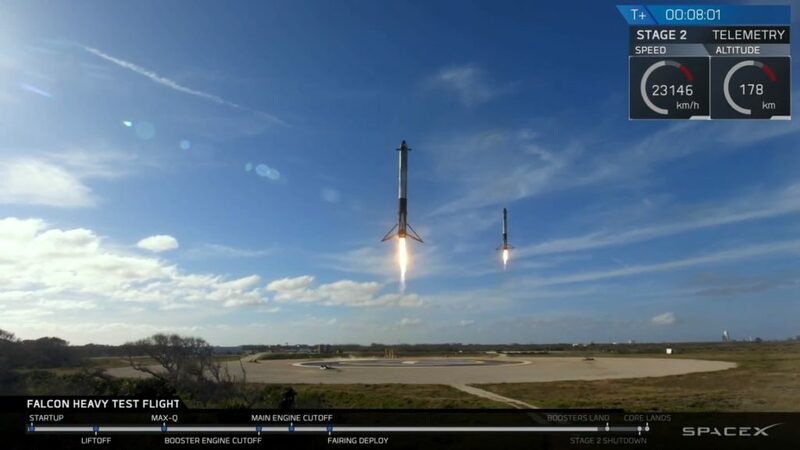 We’ve seen the booster land before from Falcon 9 launches, which is incredible, but watching two land, at the same time, side by side, was breathtaking for me. The core rocket, the big one in the middle, was today’s test. Unlike the boosters, this was its first flight. The core did it’s job and detached the second stage rocket. This is the section that holds the Roadster. The core was to return to earth and land like the side boosters but it appears is failed at one point. I guess you can say the test failed. For a test though, 2 out of 3 isn’t bad. Plus, they succeeded in getting the payload launched. If this were a manned mission or a science payload, it would be a complete success. This new rocket will further our reach into space. Science is heavy. If we want to walk on Mars, we need more than the Apollo spacecraft. This is our next step, and it’s a pretty big one. When I was a kid I fully expected humans to be living on the moon. I didn’t know where I personally would end up in space exploration. I had dreams as a child of lifting off in a rocket aimed for the stars, living in a colony in space, sitting at a computer and doing some sort of interaction with robots in space. While I’m currently tethered on earth, my current job is to support the tracking of space vehicles in orbit. So, some of that came true I guess. 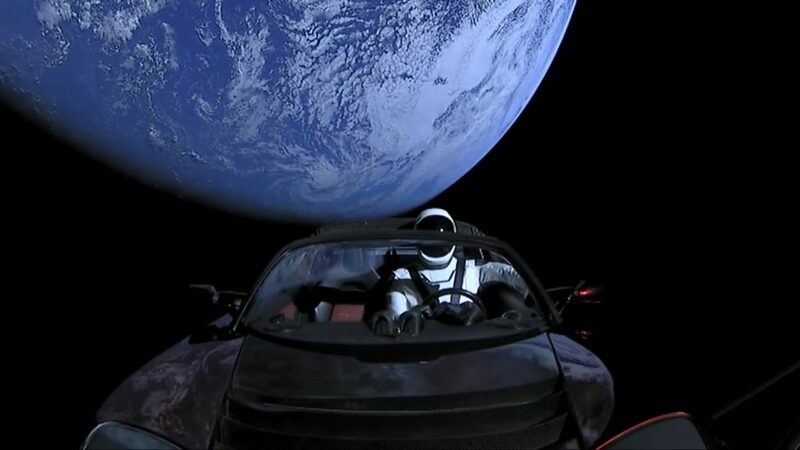 In my personal life, I will track Starman and smile as I think of him casually driving around in space, top down, arm on the door.